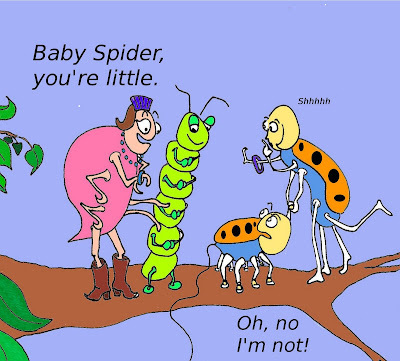 This is the story of Baby Spider - who's out to prove to the world that he's not little. There are online courses for Photoshop and Illustrator. I'm thinking of taking those to see what software I prefer using. I can't wait to learn how to add shading to my illustrations. Shading will make them look 3-D. This looks very cool, Brenda! The question is, how good an artist do you have to be to even try it? I'm in the stick figure department :) Also, not good at tech. Is it hard? You can do it. Download GIMP. There may be tutorials on YouTube, but I haven't watched any. Just the kid in me exploring all the doodads on GIMP. Draw your picture. Make sure all your shapes are closed. Scan it using your scanner and your computer. Pick colors from their palette and paint each closed shape the color hue you want.